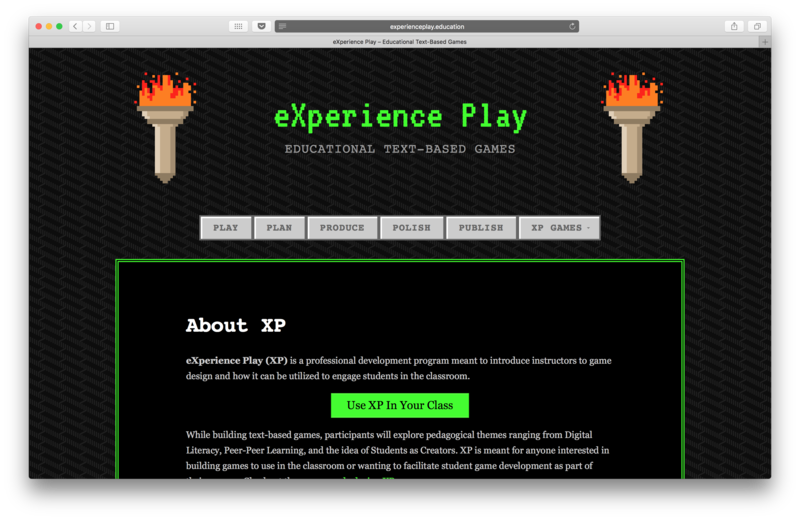 Today, John and I moved the eXperiencePlay website from xp.keeganslw.com to experienceplay.education. I was worried this process would be cumbersome but I was pleasantly surprise when we succeeded after a few minutes of research and work. Before initiating the domain change process, I registered experienceplay.education on Namecheap, pointed the Name Servers at my Reclaim Hosting (OU Create) account, and used the “Addon Domains” section of the Reclaim Hosting cPanel to add the experienceplay.education domain and directory to my account. Let me know if you need some guidance with these preliminary steps. 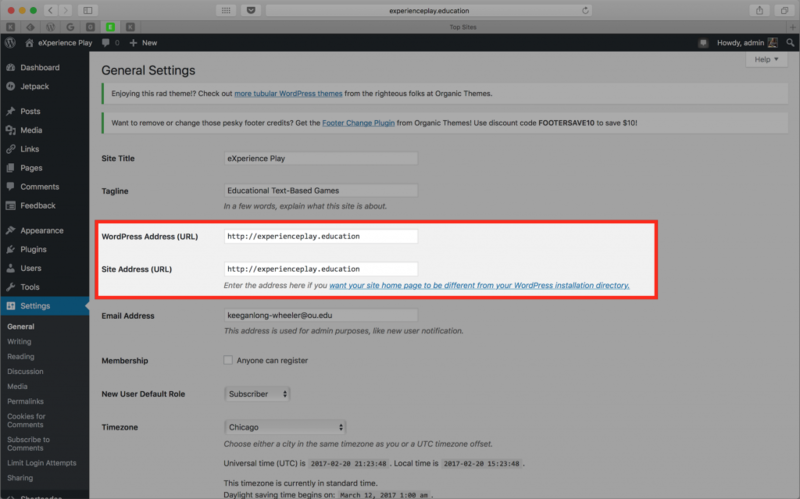 Under the Settings>General tab of your WordPress website are the WordPress Address (URL) and Site Address (URL) fields. You will need to change those fields from your old domain to your new domain. From our research, we referenced the “Via WordPress Dashboard” section from this website and the “Method II” section from this website. Next we moved all of the folders and files located in the xp.keeganslw.com directory over to the experienceplay.education directory including all of the .php files. To finalize our site transfer, we followed Jeremy Herve’s recommendation from this forum, allowing us to transfer our Jetpack site statistics from xp.keeganslw.com to experienceplay.education. Otherwise, the only remaining cleanup required was updating a few URLs to point to experienceplay.education and establish a redirect from the old domain to the new domain. This process was much simpler than I anticipated and I’m excited to maintain the eXperience Play website visitor statistics. Originally, we set out on this process to separate my domain from the eXperience Play program in preparation for OLCInnovate and to encourage other individuals to use our curriculum (similar to GOBLIN). 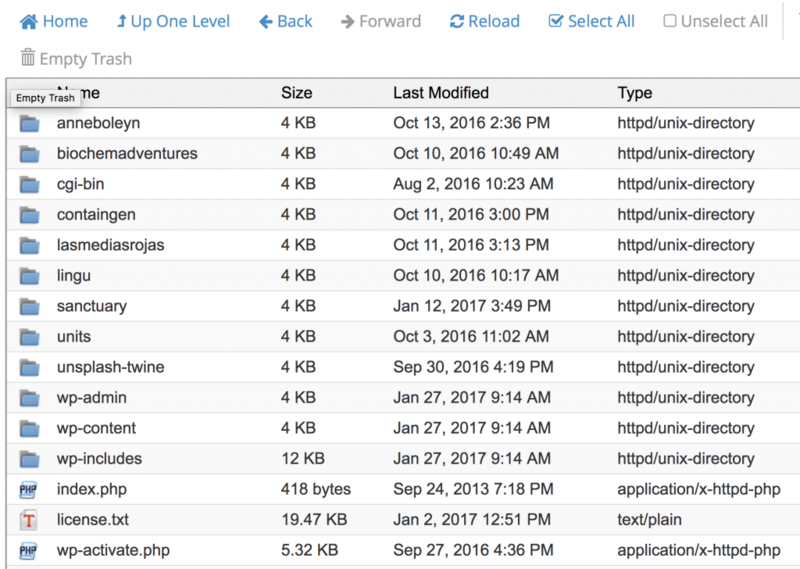 Now, I’m trilled to have learned how effortless it is to change a WordPress website domain! The featured image is provided CC0 by Денис Евстратов via Unsplash. 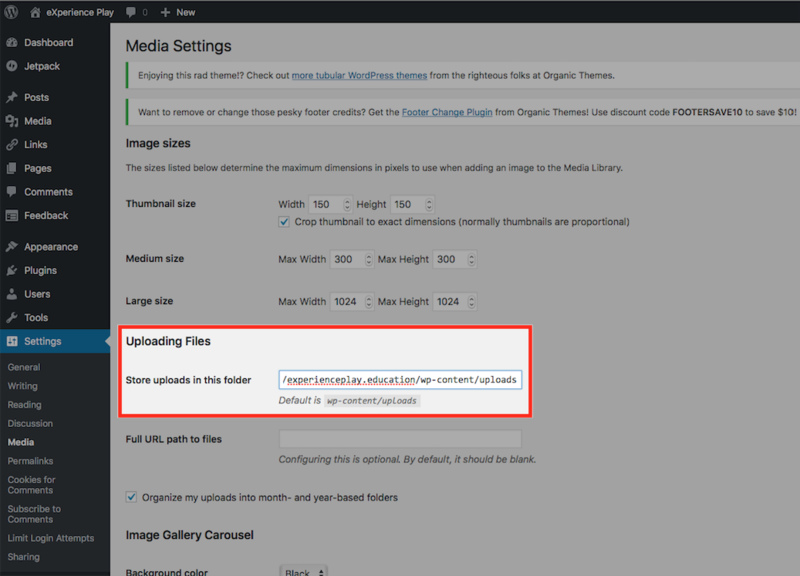 Edit: Another paragraph and screenshot were added to step 3 to describe changing the media directory before you can upload additional photos to the website. This issue was discovered after this post was originally published.